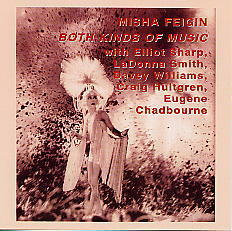 Misha Feigin (no relation to the producer) is just about the only musician we know playing improvised/new music on balalaika. He plays classical guitar as well while his above-named partners play dobro, guitars, electric guitars, cello and violins. Seven compositions recorded at different locations.